At Advanced Dental Practices, we welcome patients in the Wrentham, MA area who are interested in achieving healthy, beautiful smiles. Many times, this may include the removal and replacement of mercury fillings. Our dentist, Dr. Ross Palioca, has seen patients deal with mercury toxicity caused by their silver amalgam fillings. 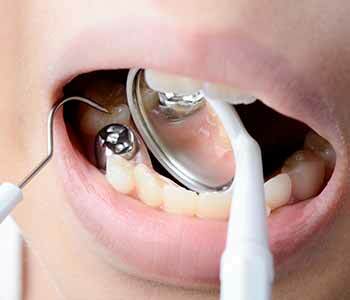 While dentists have been using these types of materials for fillings for many years, they are not safe and appropriate for the smile due to their mercury content. The IAOMT reports that many silver amalgam fillings are made of approximately 50 percent mercury, which is a toxic substance. The best way to address silver amalgam fillings is to remove them, as needed, and replace them. 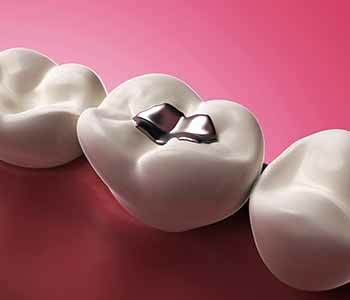 These mercury fillings should be removed in a certain way to ensure safety. Dr. Ross Palioca and his team of professionals at Advanced Dental Practices are here to assist patients with safe and effective removal as advised by the IAOMT. At Advanced Dental Practices, we follow the standards and protocols set forth by the IAOMT, because we care about the health of our patients and our personnel. We encourage patients to ask questions about the process so that they know how we proceed and what we do to ensure safety. We want our patients to be fully educated on the entire process from start to finish so there are no surprises, and to help patients fully understand why we do what we do. We want to keep our patients healthy and reduce exposure to mercury while providing them with safer, aesthetic alternatives to these fillings. All our patients are excited to have their dark, unhealthy fillings replaced with composite resin. This is our replacement material for cavities and it has many advantages over silver amalgam fillings used in the past. The team at Advanced Dental Practices encourages patients to take the time to learn about solutions for their smiles, including the removal of toxic mercury fillings by a dentist who is a member of the IAOMT. Dr. Ross Palioca and his staff are dedicated to helping patients achieve healthy smiles and replacing these types of fillings with solutions that are more appropriate and aesthetic. If you are ready to discuss this and other cosmetic treatments with our team, call us at (508) 456-7111 and visit our practice at 21 East Street in Wrentham, MA. We welcome new patients.